A 42-year-old man was arrested after drugs were found growing in a Sussex industrial estate. Homes and businesses were evacuated near the Shopwhyke Industrial Estate in Chichester and a 100 metre cordon was put in place for about an hour and a half from 1.35pm yesterday (Friday November 2) police have said. Police said that 'potentially inflammable material' that could easily set alight was found during a police search of a unit. Surrounding units were temporarily evacuated as a precaution. 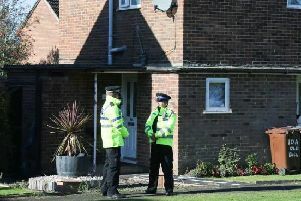 A bomb squad also attended and declared the material safe but a small quantity of cannabis plants were found in the unit. A police spokesman said: "A 42-year-old man has been arrested on suspicion of cannabis cultivation, vehicle theft, abstraction of electricity and possessing ammunition for a firearm, and is currently in custody for interview and further enquiries."